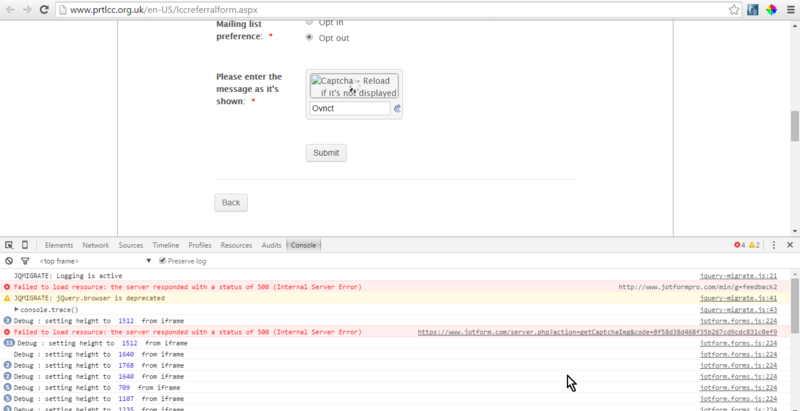 An error message has appeared saying the form couldn't be submitted due to high volume. The buttons on the form sometimes don't appear. These appear to be intermittent as submissions are being received, but our client is receiving calls on an almost daily basis from their clients who are experiencing these issues. This is quite an extensive form which has been broken down into various pages with 'Next' and 'Back' buttons. 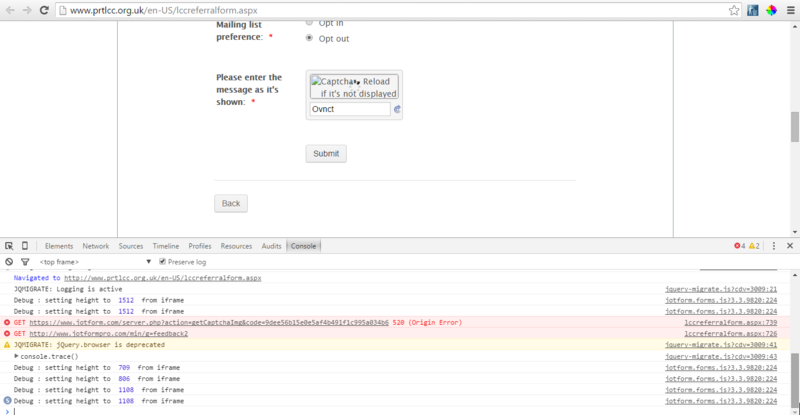 I have tested this form myself and I'm not able to duplicate these errors at all. I would be grateful if you are able to look at this to check if there is anything within the form that could be causing this to happen. Also our client has created a form on a separate account that he would like to 'Port' across to our account - What information would you need to facilitate this. I'm checking the form in this website http://www.prtlcc.org.uk/en-US/lccreferralform.aspx and I see there are a couple of errors in the console, I also see that this form is not encrypted. May I know if you are referring to a different form? You might need to investigate further on your end why the resources are not being loaded. I would recommend trying to get a fresh copy of your embed code and re-embed it to your website. 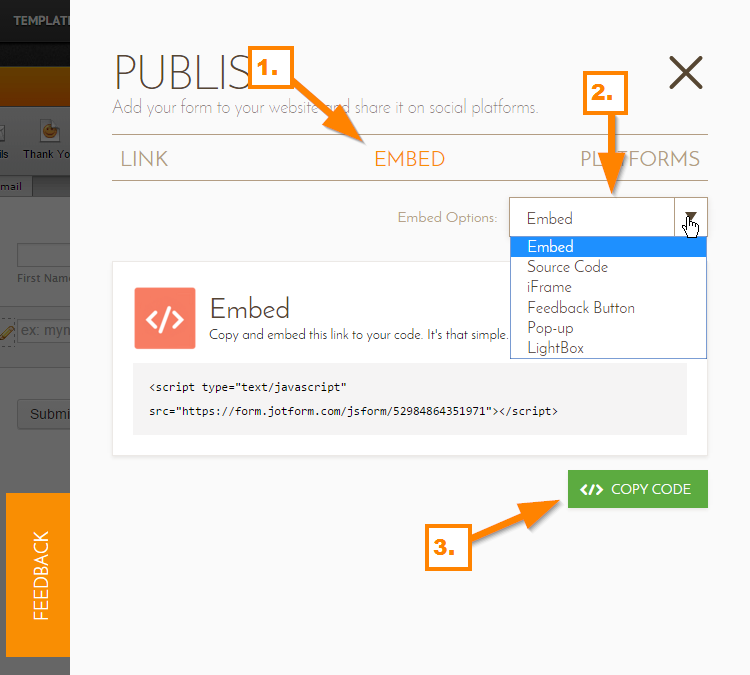 You can get you embed code under the "Publish" button. May we also know if the high traffic volume shows in your website page itself OR only in the part where the form is? For the other concern you have, I have opened a separate thread for it. Please refer to this link instead: http://www.jotform.com/answers/696432. We will address it shortly.